It was my 5th Orientation with RBKD. As usual, I had a lot of fun meeting new people and knowing the older members better. 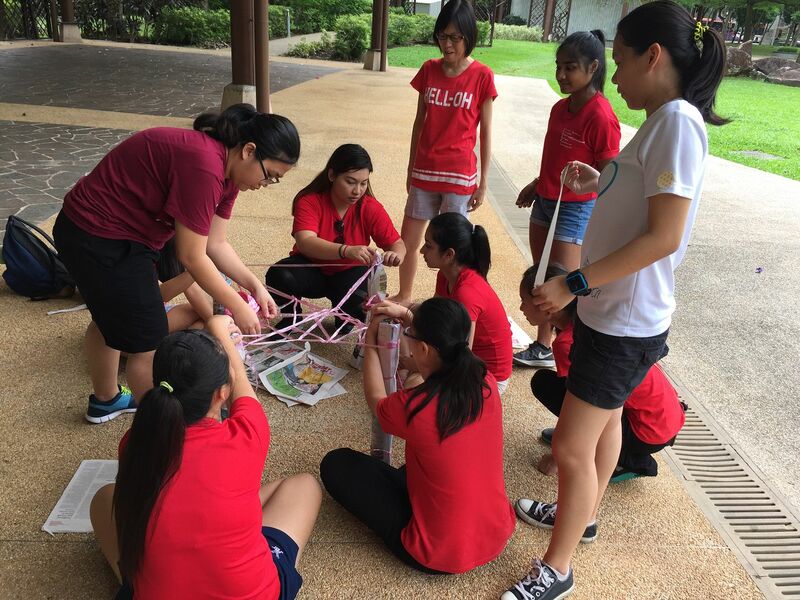 One of the activities that I enjoyed most at this year’s orientation was the Structure Building Game. We had to build a structure using recycled materials that is able to withstand the weight of three of our bags and tall enough for a group member to crawl through. Initially, we felt like it was almost a mission-impossible as the newspapers were too flimsy and we did not have much resources with us. Luckily, after some brain-storming, we figured that we could use our water bottles as the base and build a ‘cover’ for our structure to place our bags on. To be honest, I did not have much confidence in our structure as it didn’t look as stable as we had expected it to be. However, we do have a very positive Team Leader who had so much faith in our structure and was constantly encouraging all to press on. Thanks Weijen! 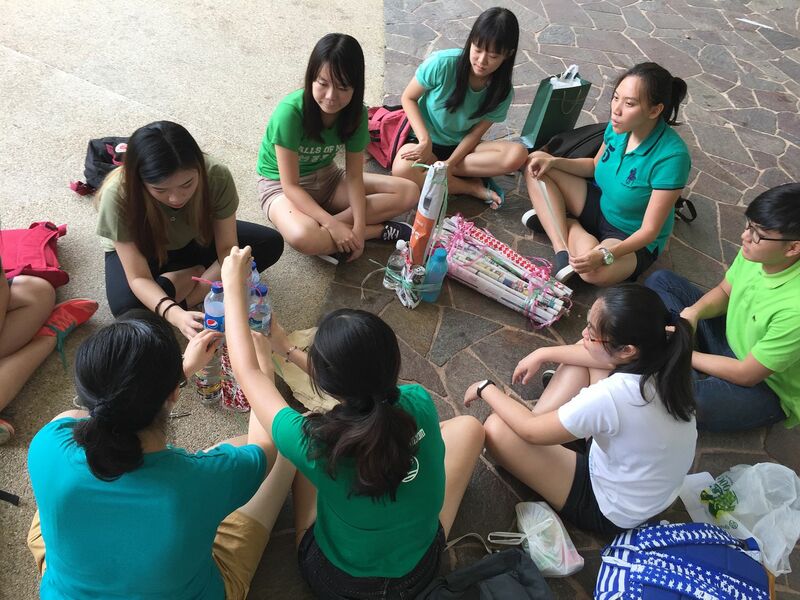 Through this activity, our team managed to become more bonded. 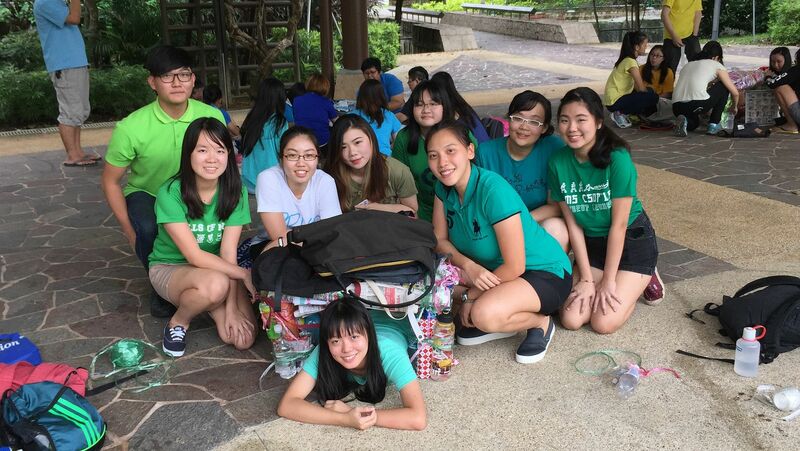 Even though it was a simple activity, all of us had great fun together! Every year’s orientation games would be somehow similar as most of the games require team spirit, but some of this year’s games gave me quite a surprise. 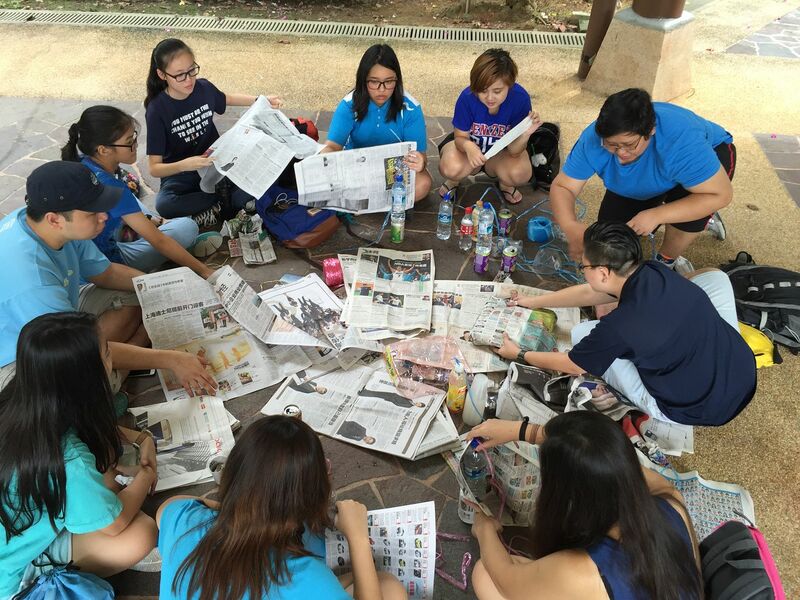 Firstly, the structure building game was CREATIVE, a piece of ART and SAVE THE EARTH! WHY? and an Art exhibition – each group had to display their obstacles. 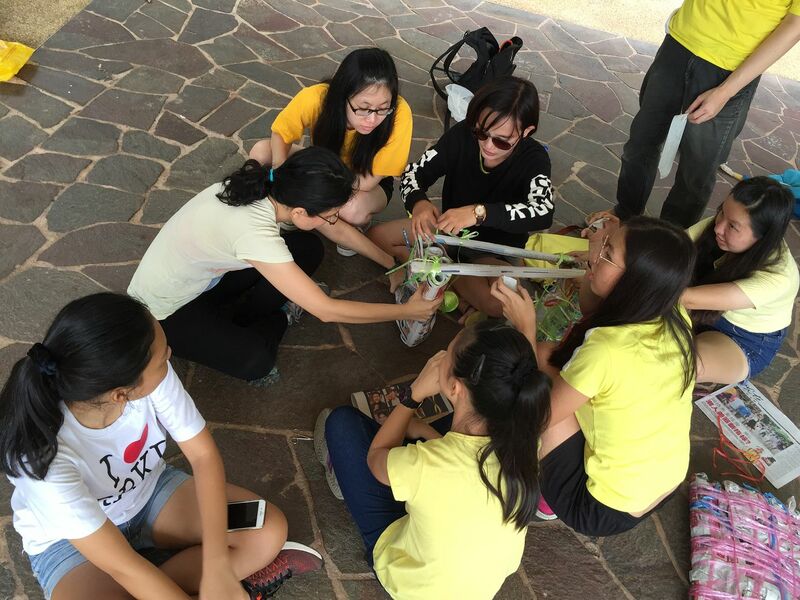 Every group was laughing at other groups’ obstacles but most of us enjoyed ourselves. At first our TL told us that we could only use a rafia string to transport the items on the floor. I was thinking how we were going to transport it? But one of our group mates suggested to do something like a knitting pattern with the string and when we started walking, the item did not drop down easily. I was surprised, IT WORKED. First time playing mahjong paper with all members and it seemed that we were very united by helping each other. Although, we lost but it was fun. 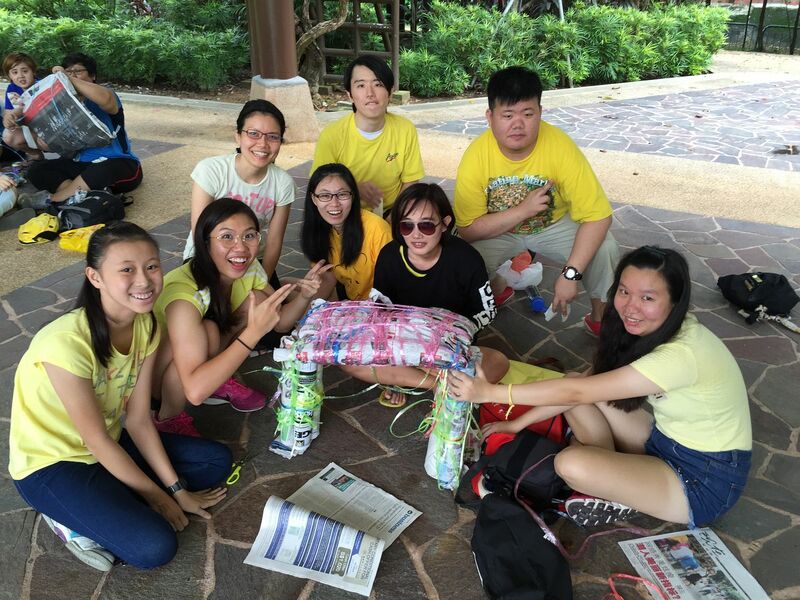 Lastly, I would like to say a BIG THANK YOU to all organisers, who organised a fun and challenging amazing race. I just want to shout out to my team – Dedicated!! Thank you everyone for putting great effort in it and also to my TLs and ATLS too. Although our team might be the smallest than other teams, but I really enjoyed myself and did not know Toa Payoh Park had such a great place.